Photo by Bryan Stevens Blue-gray Gnatcatchers, nesting birds during the summer season, showed up in good numbers for the Spring Bird Count. 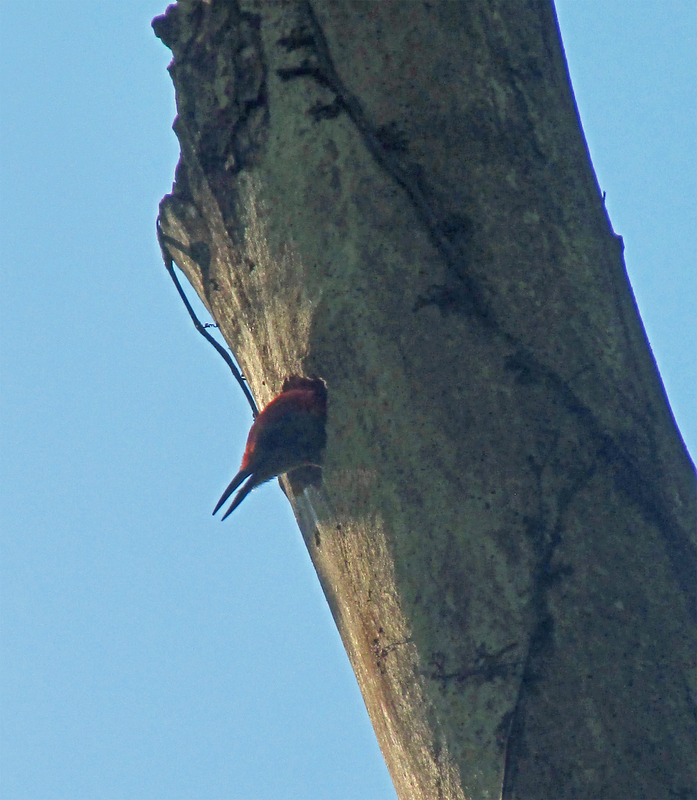 The 72nd consecutive Elizabethton Spring Bird Count was conducted on Saturday, May 9, by members and friends of the Lee and Lois Herndon Chapter of Tennessee Ornithological Society. This year’s count was held about two weeks later than usual, thus altering the occurrence or numbers of some species. Rick Knight, the long-time compiler for the count, noted that there were fewer wintering ducks and sparrows, but more of the late-arriving migrants, such as cuckoos, Empidonax flycatchers, orioles and certain warblers. 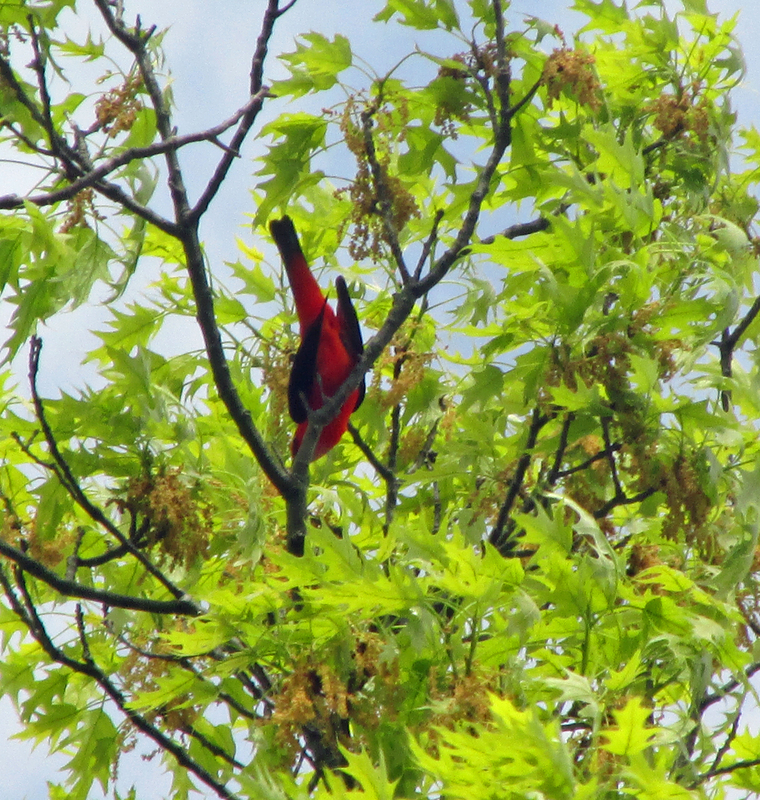 Photo by Bryan Stevens A male Scarlet Tanager engaged in a mating display in trees growing on the slopes of Holston Mountain. A total of 43 observers in 10 parties covered Carter County and parts of adjacent Johnson, Sullivan, Unicoi and Washington counties. A total of 150 species was tallied, slightly above the average of 147 over the last 30 years. The all-time high count was 161 species in 2005. A total of 150 species or more has been reached 10 of last 12 years. I began the morning by leading a bird walk at Sycamore Shoals State Historic Park in Elizabethton, adding the birds seen during the walk to the count total for my group. During the afternoon, my group visited Holston Mountain. 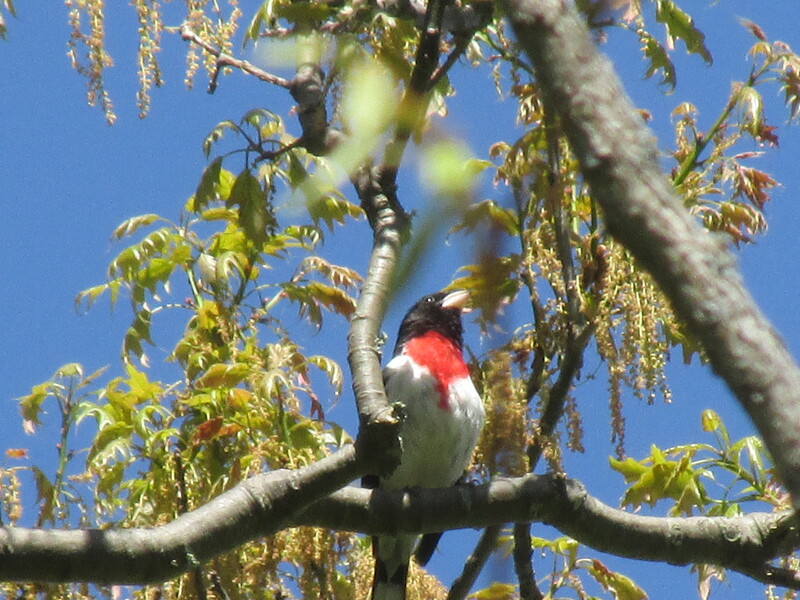 I enjoyed seeing several Scarlet Tanagers, American Redstarts, Rose-breasted Grosbeaks and Chestnut-sided Warblers while on the mountain. 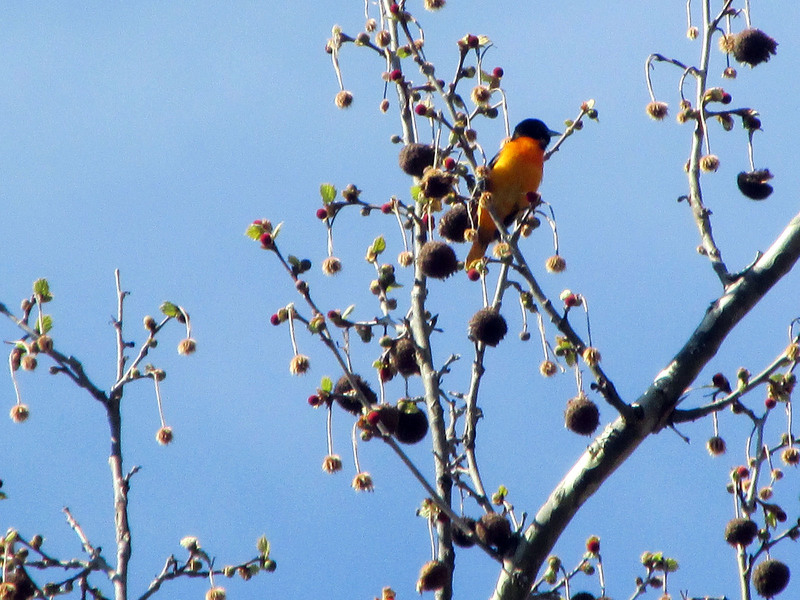 Photo by Bryan Stevens A male Baltimore Oriole sings from the top of a tree. Nevertheless, there were some notable misses, including Osprey, which was absent for only the second time since 1964, as well as the third miss for Ruby-crowned Kinglet since 1981. Savannah Sparrow was missed for the first time since 1970 while Swamp Sparrow was missed for the fourth time since 1965. The numbers found of some species set new records. For instance, the 87 Great Blue Herons found on the count was the most ever tallied for a spring count, as were the 77 Black Vultures. Other birds setting new high-count numbers included Chuck-will’s-widow (16), Acadian Flycatcher (48), Great Crested Flycatcher (23), Warbling Vireo (18), Orchard Oriole (42) and Baltimore Oriole (28). Semipalmated Plover made it onto this year’s count for the first time since 1994. A Black Tern represented only the third occurrence of this species on this annual account. Some new trends are also becoming evident thanks to data from the annual counts. The local population of Cliff Swallows has exploded in recent years with 1,016 individuals tallied this year. Eurasian Collared-Dove has been found for nine consecutive years. Bald Eagles are nesting more frequently in the area. A total of 12 eagles, including nestlings, were found during the count. 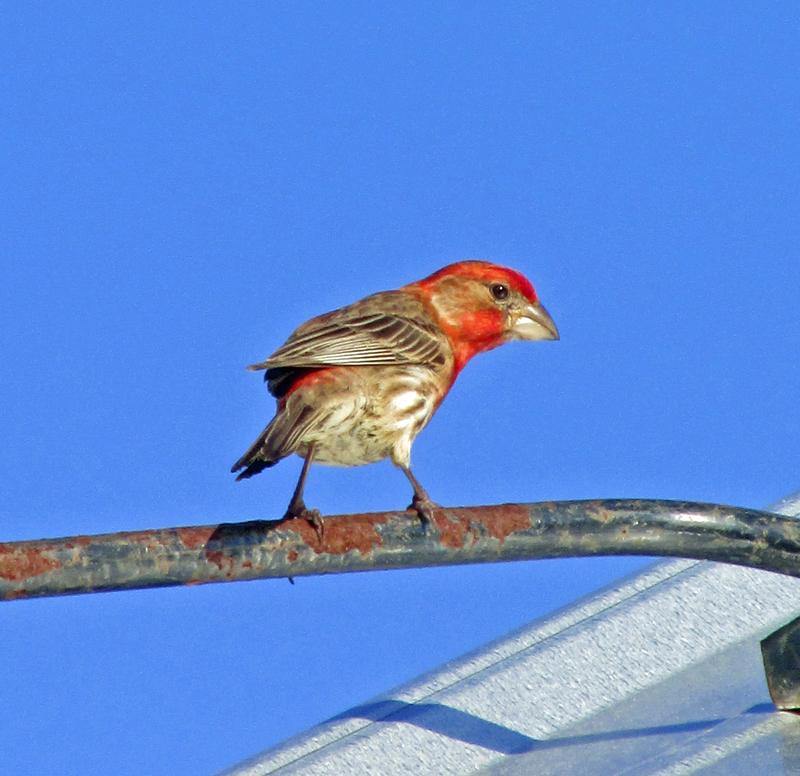 Photo by Bryan Stevens Three dozen House Finches, such as this male, were found during the Spring Bird Count. Canada Goose, 322; Wood Duck, 51; American Wigeon, 3; Mallard, 128; Blue-winged Teal, 4; Bufflehead, 3; Ruffed Grouse, 3; Wild Turkey, 27; Common Loon, 2; Double-crested Cormorant, 97; Great Blue Heron, 87; Green Heron, 17; and Yellow-crowned Night-heron, 6. American Kestrel, 7; Black Vulture, 77; Turkey Vulture, 109; Sharp-shinned Hawk, 1; Cooper’s Hawk, 1; Bald Eagle, 12; Broad-winged Hawk, 17; and Red-tailed Hawk, 18. Virginia Rail, 1; Sora, 2; American Coot, 1; Semipalmated Plover, 2; Killdeer, 41; Spotted Sandpiper, 55; Solitary Sandpiper, 17; and Least Sandpiper, 5. Ring-billed Gull, 3; Black Tern, 1; Rock Pigeon, 88; Eurasian Collared-Dove, 3; Mourning Dove, 221; Yellow-billed Cuckoo, 12; and Black-billed Cuckoo, 1. Barn Owl, 1; Eastern Screech-Owl, 9; Great Horned Owl, 2; Barred Owl, 4; Northern Saw-whet Owl, 1; Common Nighthawk, 2; Chuck-will’s-widow, 16; and Eastern Whip-poor-will, 32. 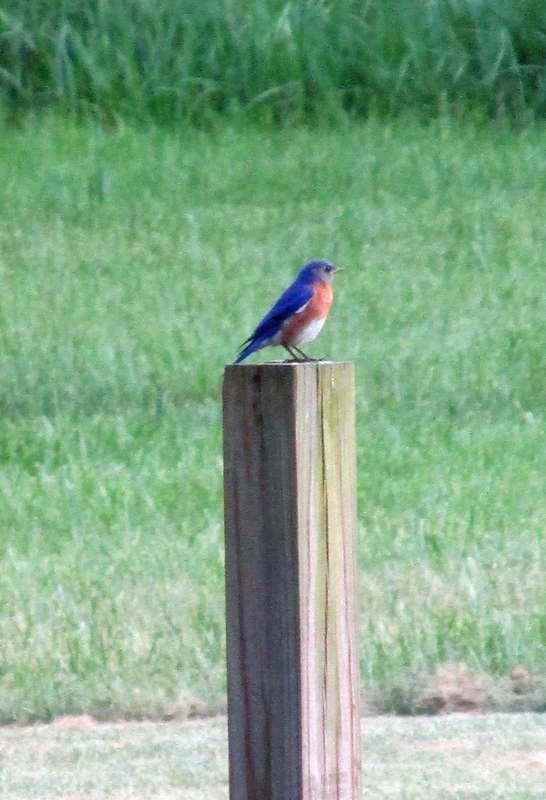 Photo by Bryan Stevens A male Eastern Bluebird perches on a fence post. Chimney Swift, 179; Ruby-throated Hummingbird, 22; Belted Kingfisher, 10; Red-headed Woodpecker, 2; Red-bellied Woodpecker, 69; Yellow-bellied Sapsucker, 5; Downy Woodpecker, 22; Hairy Woodpecker, 15; Northern Flicker, 18; and Pileated Woodpecker, 29. Eastern Wood-Pewee, 36; Acadian Flycatcher, 48; Willow Flycatcher, 5; Least Flycatcher, 6; Eastern Phoebe, 54; Great Crested Flycatcher, 23; and Eastern Kingbird, 72. Loggerhead Shrike, 2; White-eyed Vireo, 10; Yellow-throated Vireo, 12; Blue-headed Vireo, 45; Warbling Vireo, 18; and Red-eyed Vireo, 168. Photo by Bryan Stevens A male Rose-breasted Grosbeak sings from the branches of a tall tree. Blue Jay, 134; American Crow, 307; Common Raven, 12; Northern Rough-winged Swallow, 84; Purple Martin, 49; Tree Swallow, 174; Barn Swallow, 141; and Cliff Swallow, 1,016. Carolina Chickadee, 81; Tufted Titmouse, 103; Red-breasted Nuthatch, 5; White-breasted Nuthatch, 21; Brown Creeper, 7; House Wren, 42; Winter Wren, 2; and Carolina Wren, 92. 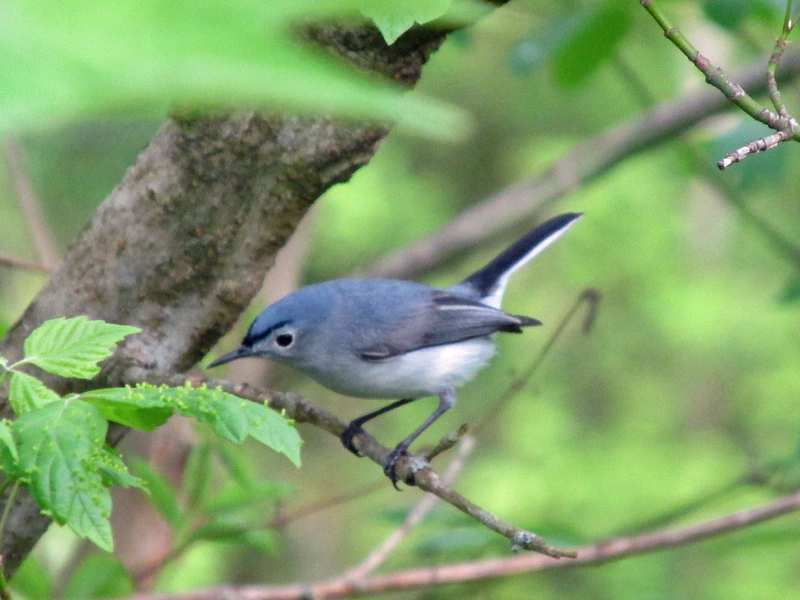 Blue-gray Gnatcatcher, 69; Golden-crowned Kinglet, 9; Eastern Bluebird, 112; Veery, 22; Gray-cheeked Thrush, 1; Swainson’s Thrush, 2; Hermit Thrush, 2; Wood Thrush, 102; American Robin, 688; Gray Catbird, 65; Northern Mockingbird, 100; and Brown Thrasher, 49. European Starling, 774; American Pipit, 1; and Cedar Waxwing, 302. Ovenbird, 135; Worm-eating Warbler, 31; Louisiana Waterthrush, 16; Northern Waterthrush, 2; Golden-winged Warbler, 3; Black-and-white Warbler, 63; Swainson’s Warbler, 6; Kentucky Warbler, 2; Common Yellowthroat, 31; Hooded Warbler, 100; American Redstart, 13; Cape May Warbler, 3; Northern Parula, 29; Magnolia Warbler, 4; Blackburnian Warbler, 5; Yellow Warbler, 14; Chestnut-sided Warbler, 41; Blackpoll Warbler, 2; Black-throated Blue Warbler, 59; Palm Warbler, 1; Pine Warbler, 8; Yellow-rumped Warbler, 3; Yellow-throated Warbler, 31; Prairie Warbler, 5; Black-throated Green Warbler, 54; Canada Warbler, 48; and Yellow-breasted Chat, 7. Photo by Bryan Stevens Year-round resident birds, such as this nesting Red-bellied Woodpecker, were part of the Spring Bird Count. Eastern Towhee, 169; Chipping Sparrow, 96; Field Sparrow, 50; Grasshopper Sparrow, 3; Song Sparrow, 220; White-throated Sparrow, 1; White-crowned Sparrow, 2; and Dark-eyed Junco, 51. Summer Tanager, 1; Scarlet Tanager, 71; Northern Cardinal, 203; Rose-breasted Grosbeak, 15; Blue Grosbeak, 7; Indigo Bunting, 174; Dickcissel, 1; Red-winged Blackbird, 269; Eastern Meadowlark, 120; Common Grackle, 233; Brown-headed Cowbird, 81; Orchard Oriole, 42; and Baltimore Oriole, 28. House Finch, 36; Pine Siskin, 14; American Goldfinch, 155; and House Sparrow, 61. This entry was posted in Birding, Birds and tagged Birding, birds, Bristol Herald Courier, Elizabethton Star, Erwin Record, Feathered Friends, Spring Bird Count, Spring migration, The Erwin Record on May 24, 2015 by Bryan Stevens. Thanks. I had fun taking each of them.